The remoteness of the destinations you can paddle to via Tybee Creek seems impossible given this area’s proximity to thriving tourist destinations, but there is absolutely no one except fishermen that frequent Tybee Creek. Tybee Creek, you guessed it, runs straight to Tybee Island, a popular vacation destination in the Lowcountry. Though thousands of people flock to Tybee in the summer, the majority of them are beach goers, and leave without ever taking advantage of the surrounding creeks and tidal marsh. This means open season for kayakers and paddleboarders, with very little traffic in the way of boats and other paddlers. Tybee Creek offers paddlers the chance to go deep into the marsh and tidal creeks behind little Tybee Island, and empties into the Atlantic right beside Tybee Island. There is virtually zero development around the smaller creeks that feed Tybee Creek. Go here for a very primitive paddling trip and to explore pristine marsh and tidal flats. In a word, remoteness. The remoteness of the destinations you can paddle to via Tybee Creek seems impossible given this area’s proximity to thriving tourist destinations, but there is absolutely no one except fishermen that frequent Tybee Creek. Paddle inshore to go deeper into the shady oaks, or paddle out to the coast and follow the desolate beaches of Little Tybee island. 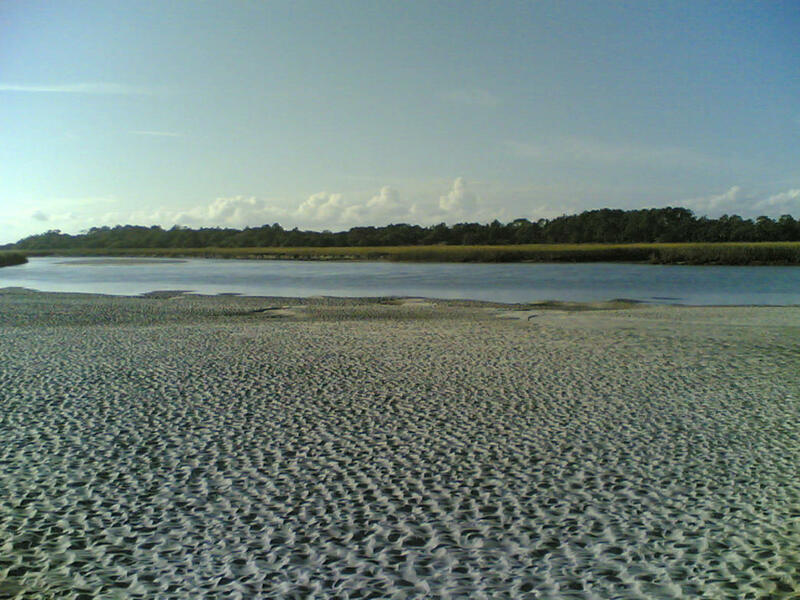 The beach of Little Tybee is actually a peninsula that hides plenty of sandbars behind its barrier. If you enjoy long tours, hopping out throughout the day to eat and take a break, you’re allowed plenty of opportunities to do so while paddling this route. This route is best suited for experienced paddlers looking to tour either all day, or overnight. Little Tybee Island allows camping, and if you’re given the opportunity, you’d be missing out if you didn’t take an overnight paddling trip there. It’s insanely beautiful, completely empty, and an awesome experience. This is a tough paddle, just like any route along the coast. All water is tidal, meaning currents can give you a run for your money if you don’t use them to your advantage, although open water paddling doesn’t give you much of an option to do so. When going up tidal creeks, plan around an incoming high tide. When coming down creeks into the ocean, ride the falling low tide... really all you have to do is keep to the center of the creek, the momentum of the water will take care of the rest. It is incredible this day in age that there are no fees associated with camping on Little Tybee Island and depending on where you put in, you will not have to worry about a launch fee either. RootsRated recommends launching from one of the public beach accesses from Tybee Island, putting in as far away or as close as you’d like from Little Tybee. From the beach you can either follow the coast line, or go inshore once you reach the mouth of the creek.